11/29/15- V2.1 is out! Changes have been made to torch_static_green. The blue and green torches have had their core changed from orange to ember but the original orange core files are still in the torch_static01 folder. Thanks man, did you open them up in the viewer or level editor yet? They look really nice, sometime i'll try to make a level dedicated to these lights when i'm used to and learn more about the level editor. Probably when I have the beginning portion of Death Row almost complete. Perhaps they could also go into the "nice dream" portion of my story too and they'll also be in certain places in Death Row as well. I already tested them and as far as I know they all work just fine. You can try them out though and make sure they work for you, they should. and now I swapped the orange core in the torch_static01 blue and green torches to the ember core, because they kind of looked like **** with orange cores. These are very impressive. Currently implementing them into my custom story. I will say I am glad to finally have a movable candlestick. Excellent work! I hope i can still get an answer here. This was made a while ago. I want to know: how do i even install this? i don't know where the files and stuff go. If you still need help, I can tell you where the files can go. If you are using them in a custom story of yours, they can go in the entities folder. The whole folder should be able to go in there. It has been a long time I made these, I admit. I think I will be shortly working on my amnesia custom story again soon, although I am not sure if I want to make it for Amnesia TDD or SOMA. Probably Amnesia. 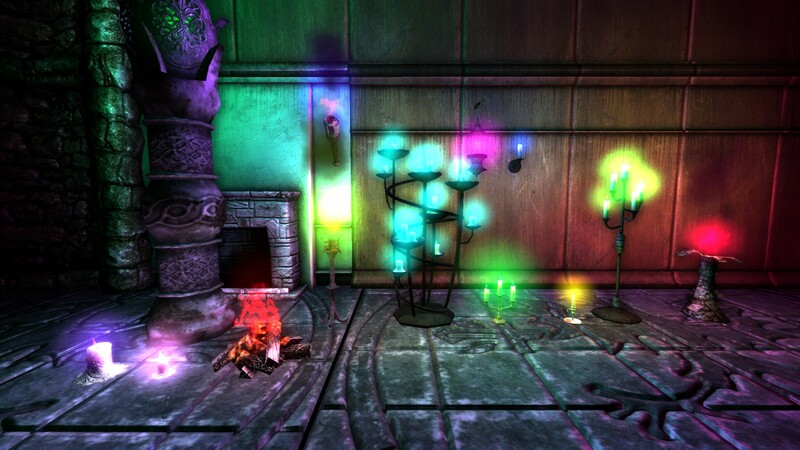 Thank you so much for downloading my candles pack, even if the candles are rather bright. I forgot i even commented asking for help on this... this was back in July? ._.